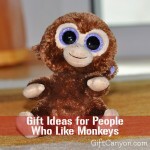 Home » Blog » My Favorite Things » Animals » 12 Adorable Pig Gifts for Just About Anyone! Among the farm animals, we could say that the pig is one of the most popular of them all. I can remember a film which main starred a talking pig and it won the hearts of many! The pig is a cute farm animal that some people tend to domesticate because of their warmness and loving nature. In the Chinese culture, pigs symbolize strength, fertility and virility. The Chinese even have the year of the boar in their zodiac and it is considered a symbol of honesty and determination. In Hindu symbolism, the Vajravarahi was linked to the pig. In ancient Egypt, the pig symbolizes abundance and fertility. 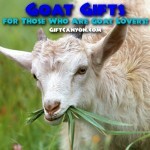 The Greeks on the other hand, sacrifices pigs to gain more harvest. The Native Americans also believes that the pigs symbolize agriculture, abundance and fertility. On the other hand, Buddhism believes that the pig symbolizes ignorance and Christians uses pigs as a symbol of laziness and greed. Jewish and the Islamic cultures are forbidden to eat pork because they see the pig as unclean. Either way, many cultures and traditions view the pig as a symbol of goodness and some bad traits but for some people, this farm animal has become their hero or their inspiration. 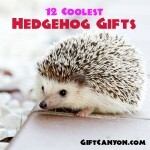 If you know someone who is in love or adores this cute animal then you need to check out our fabulous finds of twelve pig gifts that we have personally hand-picked from the web. 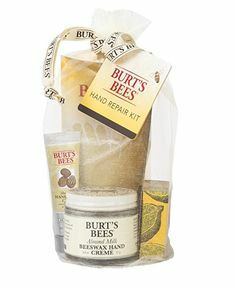 See our listing below and check out which one would be your favorite pick! Waking up in the morning is difficult to do especially if you came from rest days or weekends but it becomes bearable when you get to have your morning elixir of caffeine. The coffee lover who is a pig lover at the same time would be delighted to have this pigs coffee mug as a present. This pigs coffee mug is made of ceramic and is in white color. 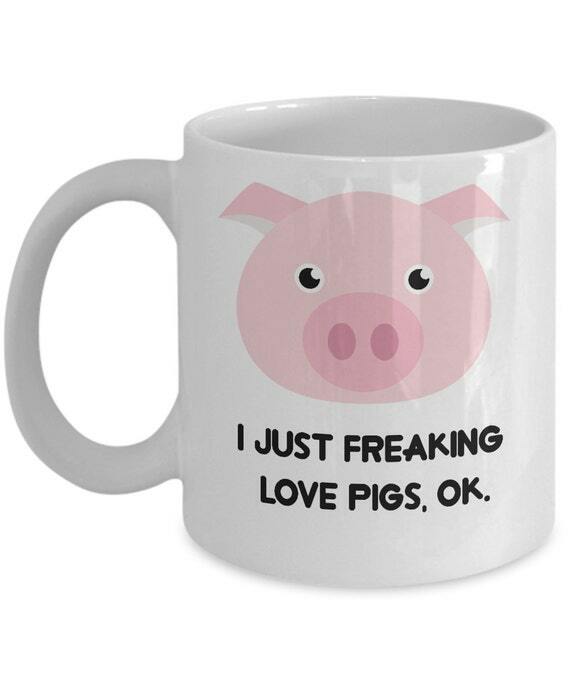 The design is no other than a cute pig’s face with a catchy line which says: “I just freaking love pigs, OK.” This pigs coffee mug is dishwasher and microwave oven safe too. Hopeless situations call for desperate measures to cheer a person up. Often we hear people coin the phrase: “when pigs fly” as a way to say that a situation is impossible to happen. 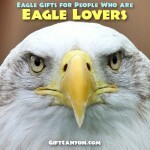 This one of a kind bracelet is a cute gift idea for the pig fanatic who is losing sleep over something to cheer ‘em up. 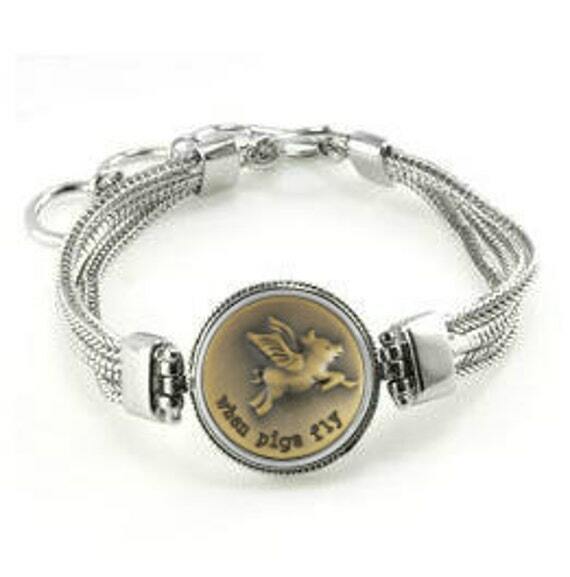 This unique bracelet features a pig with wings with the phrase: “when pigs fly”. 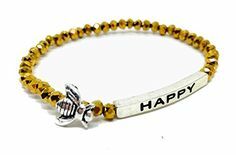 This bracelet is a cute way to boost one’s self esteem and to represent that nothing is impossible as long as you believe! This bracelet measures seven inches up to eight and seventy five in length. 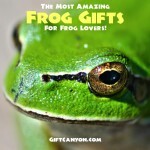 Jewelries make awesome pig gifts, don't you think? Jewelries add some glamour to the usual get up of a person. If you know someone who is fond of wearing jewelries such as a necklace then this personalized pig necklace would be a great gift idea. 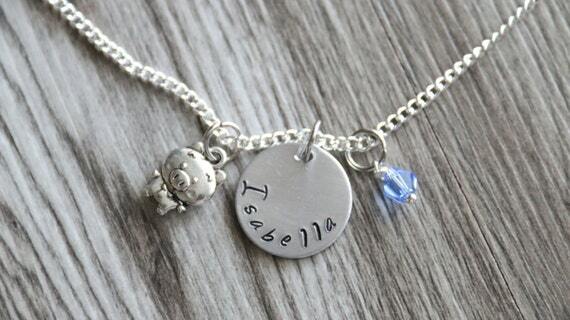 This necklace is very eye catchy because it features a very cute pig’s head and alongside with it comes a monogram and a birthstone. 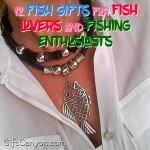 This one of a kind necklace is such a charmer that it could easily stand out and give grace to the one wearing it. This necklace has an eighteen inch chain with an aluminum disc which measures three fourths of an inch which bears the monogram or initial of your giftee. Coins may come bulky in your wallet so better have some purse to hold them up. If you love pigs or knows someone who do so, then you need to check out this pig coin purse for a second. This coin purse is made of genuine leather that you can carry around. This pig coin purse measures four and half inches in length and has a wristlet that gives you the power to carry it anytime and anywhere. 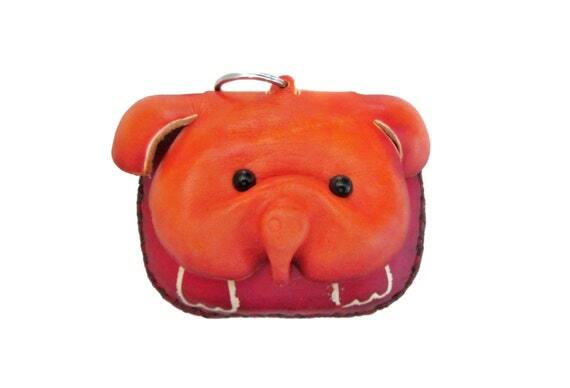 This unique coin purse features the very charming pig’s head as the main design and any pig lover would certainly awe in amazement when gifted by this for any occasion. Wine nights would never be the same again when you get to use this etched pig wine glasses. This set of four wine glasses have two options of sizes from 17 ounce stemless wine glass and 18.5 ounce stemmed wine glass. 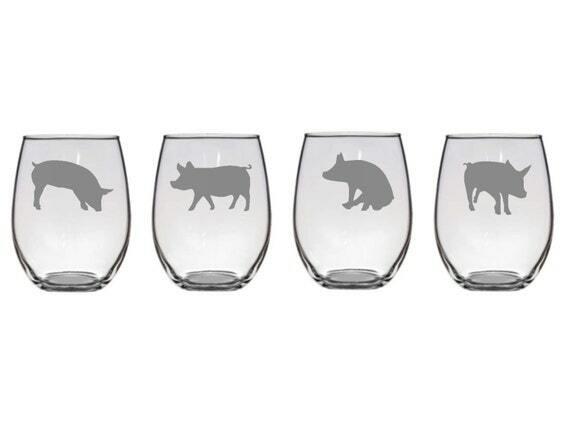 These glasses come in set of four poses of the pigs that gives each wine glass a sense of uniqueness. These wine glasses comes in a frosted look because they are sand blasted which makes their beauty to last for a very long time without fading! Make your bubbly wine stopper a scene stealer through this pink piglet wine stopper. 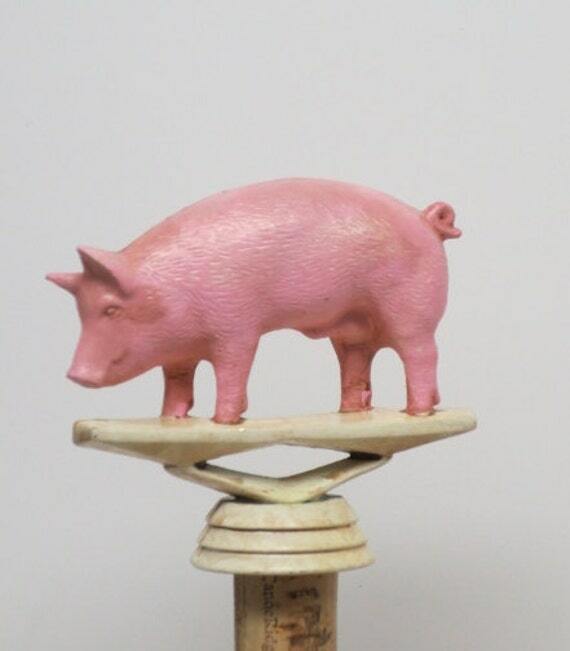 This one of a kind wine stopper features a real life pig that comes in pink color. 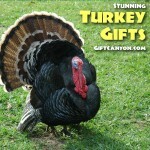 Your guests would certainly be amazed or stunned when they get to see your extraordinary wine stopper! Stress is taking a toll on our energy and even on our health. 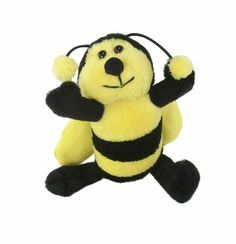 By all means, we should learn to combat it since stress would certainly never go away! This pig shaped stress reliever is a cute way to unleash your inner demons of stress by squishing its cute body as you try to alleviate your stress. 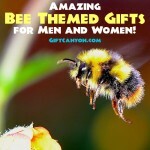 Any pig fan would adore useful pig gifts like this for sure. Coloring is a fun and unusual way of relieving stress. Kids are not the only ones who find delight in coloring, even the adults see this activity as a way to hone the stress build up within and to get through a rough patch. 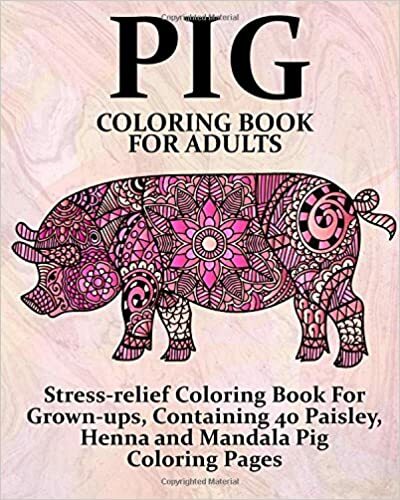 This pig coloring book for adults features the adorable pig as it comes in eighty two illustrations. 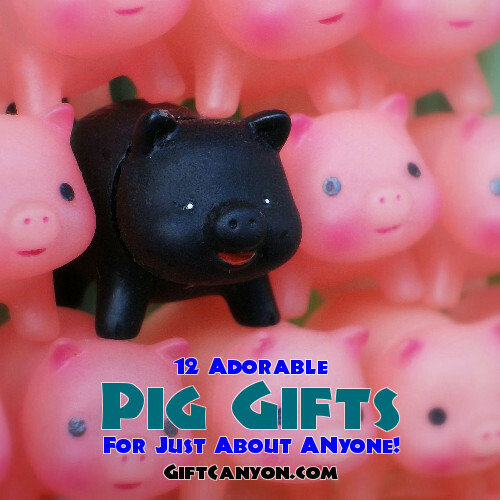 Anyone who loves pigs would be stunned to have this as a gift! The 3 Sprouts pig storage caddy is the cute way to organize the messy art materials of a child who loves pigs! This charming organizational solution is fits for nurseries and even for the home. 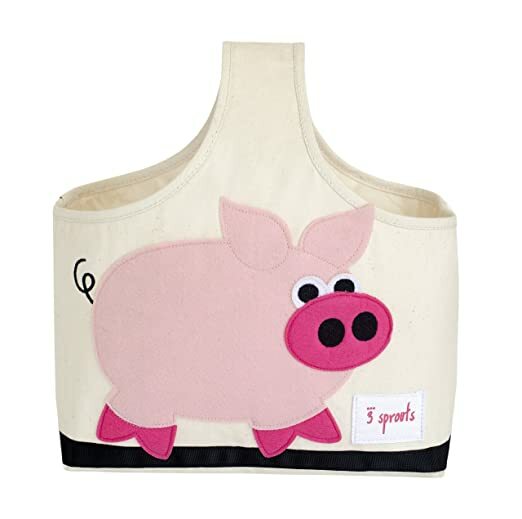 This pig storage caddy is made of sturdy canvas that can store various items such as art materials, hygiene tools or even diapers or anything you need to bring or to keep tidy. 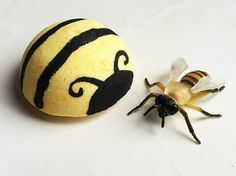 The living room would have an additional delightful sight when you get to have this very cute cushion cover on your sofa or couch! 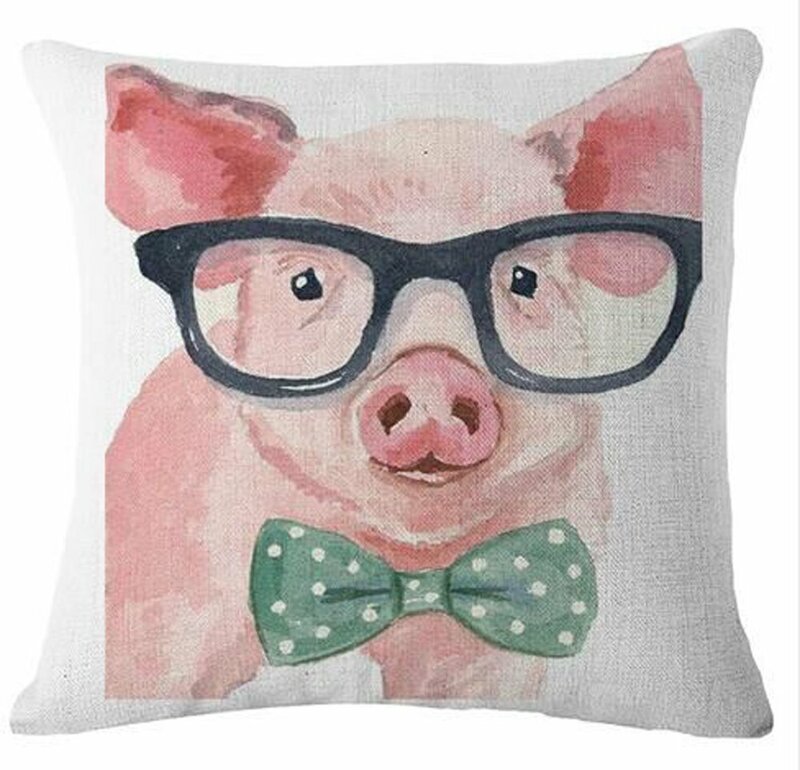 This cushion cover features a charming pig which wears glasses and for sure, you can say that you don’t see that every day! 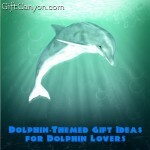 This cushion cover can store a throw pillow that measures eighteen by eighteen inches. 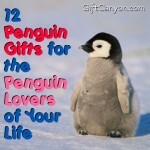 Getting some snooze may be difficult for some especially when you have cold feet. To alleviate the coldness and to gain more good vibes before sleeping, this pair of little piggy women’s novelty socks would be the best sleeping bundle that any pig lover should have! 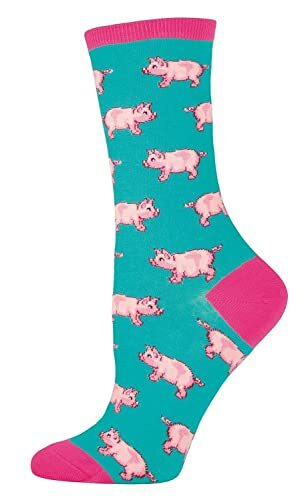 This pair of pig novelty socks fits women whose shoe sizes are from five to ten. 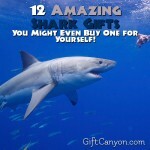 A gag gift would be a nice idea especially if you have ran out of gift ideas at hand. To surprise a girl who loves pigs this coming occasion, this funny pig t-shirt should be taken in consideration. This funny pig t-shirt has a caption which says: “Pings make me smile. 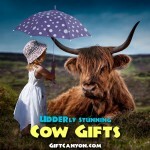 You, not as much.” Pig gifts like this would certainly draw some laughter to the giftee when she gets to see your surprise! 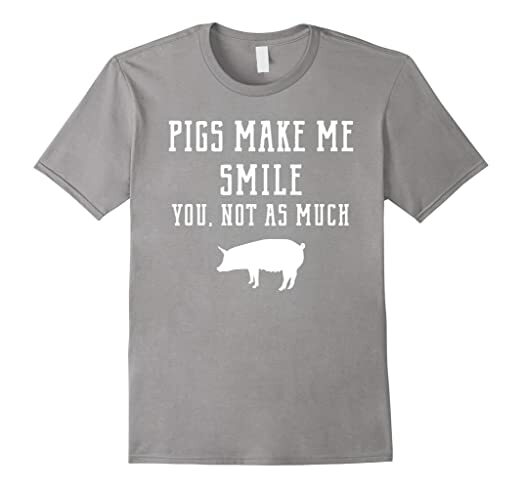 This funny pig t-shirt comes in different colors and sizes to choose from too!